i-TimeTec App presents 4 different unlocking methods to choose from to unlock doors installed with TimeTec BLE-2. Different unlocking method presents different added advantages. At any given time a user can only use one unlock option for each TimeTec BLE-2. A lock owner can configure a specific unlock option for each door, and this unlock option would apply to all users under the same door, and one door can only accept one type of unlocking option if a specific unlock option is chosen. 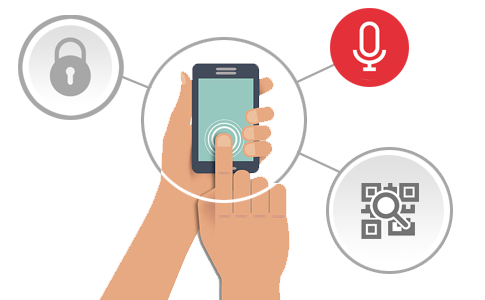 The App will notify the users on the unlock option to use by displaying the unlocking method on your smartphone's screen such as the QR code icon for QR code scan, the pop-up message for voice command or a countdown timer for auto unlock. 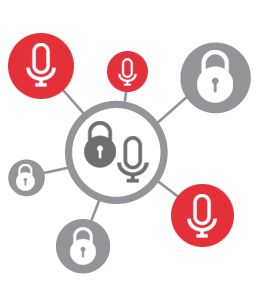 An admin can assign an unlock option to a door, for example, a voice command, all users must adhere to it. When the admin selects Scan QR Code as an option, all users must use the Scan QR code to unlock the door. However, if an admin selects Voice Command or Auto Unlock, the users can choose to use either Voice Command or Auto Unlock or he/she can remain with Tap to Unlock option. All methods are user-friendly and the usage of it very much depends on the owner's preference. Understand each unlocking method before applying it to your system. Tap on the button method is the default unlocking method in i-TimeTec App. A user just needs to tap on the icon to gain access to a door and this method will not specify the in/out movement of the use. The smartphone must be unlocked with app runs at the background. 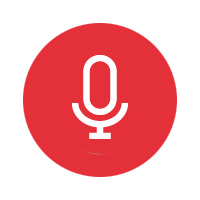 Voice Command method lets users to choose the keyword to be said to the App before it could trigger the unlocking of the door. The user needs to remember the keyword to gain access and this method will not specify the in/out movement of the user. Configuration must be done in the setting page and the smartphone must be unlocked with app runs at the background to use this method. Auto-Unlocking method can be chosen for users who prefer convenience, whereby they do not have to take out the smartphone from the pocket or the bag to open door. Configuration must be done in the setting page and the smartphone must be unlocked with app runs at the background to use this method and this method will not specify the in/out movement of the user. 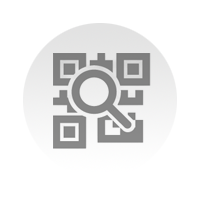 Scan QR Code unlock method is important when movement monitoring is required by the lock's owner. 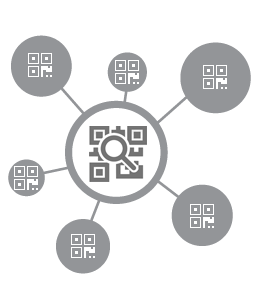 By carrying two different QR codes, the codes can tell the movement's direction. When a person scans the QR code to unlock a door, his/her access record would be tagged with IN or OUT status. Hence, when the admin of the lock reviews the access records, the users' movements will be apparent. © 2019 TimeTec Cloud Sdn.Bhd. All rights reserved.